As a business owner or facilities manager, your responsibilities are many. The safety of those who work and visit your property is perhaps the most important of those responsibilities. One incident with your gas detection equipment and system can mar that reputation. So, while it is true that systems have greatly improved, the core part of a gas detection system is still essentially intact. All systems essentially include: “Plug-and-Play” field-replaceable sensors including (PID and Infrared), integral sampling pumps with strong sample draw capabilities, up to six gases monitored simultaneously, detecting high or low ppm levels (0-50 & 0-2,000) of VOC gases; percent volume capability for CH4 and H2 using a TC (thermal conductivity) sensor; ppm or LEL hydrocarbon detection. In the early 2000s, the focus was on size. Smaller was better. In the past few years, the focus has been more on ease-of-use and durability. Today’s detection units are built to last. Yet there is one improvement that has been a game-changer for everyone from facilities managers to DPW workers, firefighters to wastewater management professionals and that’s wireless detection. Gas detection systems with a wireless connection can report directly back to a home office or command post miles away at the first sign of trouble. 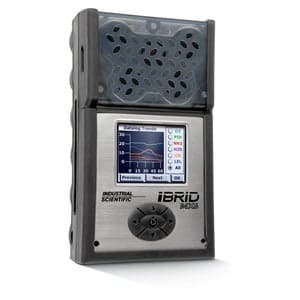 So, if you have an electrical worker or DPW worker on a job underground, they can wear a wireless detection unit the size of a cell phone and transmit conditions back to headquarters (this is to comply with OSHA regulations for “Confined Space Entry” as well as your organizations S.O.P.). This gives them the option of checking gas levels while on the job and the security of knowing that someone back at headquarters has access to the same readings and can alert them to potential dangers. Now, compare the efficiency of a wireless system to a more traditional gas detection system. In that same scenario—personnel working underground—it would require at least one worker to be stationed at the opening of the hole and monitoring gas levels. If there was a problem below, the worker stationed at the entrance would need to signal his or her co-worker of potential problems. With a wireless connection, more eyes can monitor underground work and other potentially dangerous work situations. At the same time, the wireless connection improves safety for the worker underground should something go awry because of real-time detection. Eventually, you will see the alarm condition sent directly to the emergency response agency very much like a fire alarm rings to the local fire department now. This will save lives by reducing the response time to an incident. Wireless devices have also become an integral part of the homeland security efforts. Security personnel equipped with wireless gas detectors ensure the safety of tens of thousands at sporting events, concerts, political conventions, the Olympics, etc., all quietly behind the scenes. The advances in gas detection equipment have made detection more efficient, but it has not eliminated the need for periodic maintenance and 24/7 monitoring. 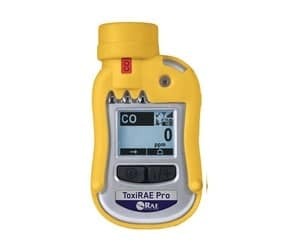 Simply put, all gas detection should be tested every 90 days (always following the manufacturer’s requirements as well as compliance with all local and federal agencies) to make sure they are still correctly calibrated and responding correctly and that all of the target gases are being detected. Those tests should be done with actual gases traceable to the “National Institute of Standards and Testing” (NIST) to ensure accuracy and protection from liability. Unfortunately, many building owners and facility managers feel the investment in a gas detection system to be sufficient, or have been told it is sufficient once installed just to have it in their properties. To a degree, you can understand that perspective. A gas detection system is not a small investment. With the installation for a single gas detection unit averaging $1,000, adding a maintenance contract for a new or newer gas system might seem like a luxury. It is absolutely not. Some facilities managers and business owners go by the mantra that if the gas detection system doesn’t detect anything that nothing is wrong. If you could be 100 percent sure the system was working properly, you can understand that logic. Unfortunately, you can’t know a gas detection system is working unless it’s tested with the appropriate gases. Since most people do not intentionally have those gases on them in a safe form to test their system, there’s no way for them to know if the system is actually reading gas. Consequently, by not having a routine maintenance system in place, you can put the health and lives of occupants of your building at risk if your gas detection equipment is not functioning properly. And when it comes to exposure to gases, it only takes one incident to put lives in jeopardy and open up your organization to tremendous liability. The flip side to gas detection equipment not detecting potential dangerous gases is one that is oversensitive and produces false alarms. This is something that occurs in many facilities. While most of these ambient gases are harmless, it is not unusual for a miscalibrated or infrequent detection system to be set off by them. This can trigger a very costly chain of events—chaos in the immediate vicinity, emergency personnel dispatched to the scene, evacuation of staff and customers, etc. Bottom line, a false alarm alone can cost thousands of dollars in lost business, lost man hours and the price of emergency personnel dispersed to the site—not to mention the bad publicity and lost confidence of those involved, as well as those simply aware. And with any false alarm, there always exists the possibility that you are taking emergency personnel away from a real emergency where their services are needed. When you compare the cost of an annual maintenance plan—roughly $1,000—with the thousands of dollars associated with a wrongful death or liability lawsuit, the investment in a maintenance and monitoring program makes all the sense in the world. Yet it’s a conservative estimate that of the facilities that have gas detection systems on their premises, less than half have an active maintenance program with testing conducted on a quarterly basis. While that may sound rather bleak on the surface, it’s a number that has actually gone up over the course of the past few years. Much of that has to do with insurance. With an increased focus on risk management for commercial clients, insurance companies have not only mandated gas detection equipment installed, but also offered incentives for maintenance and monitoring contracts with those systems. This is a trend that is likely to continue. As a business owner or facilities manager, your responsibilities are many. The safety of those who work and visit your property is perhaps the most important of those responsibilities. You can run a smooth and efficient operation for 20 years with little fanfare. One incident with your gas detection equipment and system can mar that reputation. Installing a state-of-the-art gas detection system with regular maintenance and monitoring buys you peace of mind that you just can’t put a price tag on. Perhaps the best trend in gas detection equipment is that more and more building owners are choosing common sense over the bottom line. John V. Carvalho, III is the president of Apollo Safety, Inc. (Fall River, MA). Veteran-owned, Apollo Safety specializes in gas detection products and services for portable and stationary systems. For information, call (800) 813-5408 or visit www.gasmonitorinstallation.com. The latest trend in gas detection is wireless. Right: a single gas portable detector ToxiRAE Pro HCN Personal Wireless Gas Monitor for Hydrogen Cyanide by RAE Systems and a multiple gas portable detectors (left): Industrial Scientific MX6 iBrid Multigas Monitor MX6-K103Q201 Gas Detector. Photos courtesy of Apollo Safety.